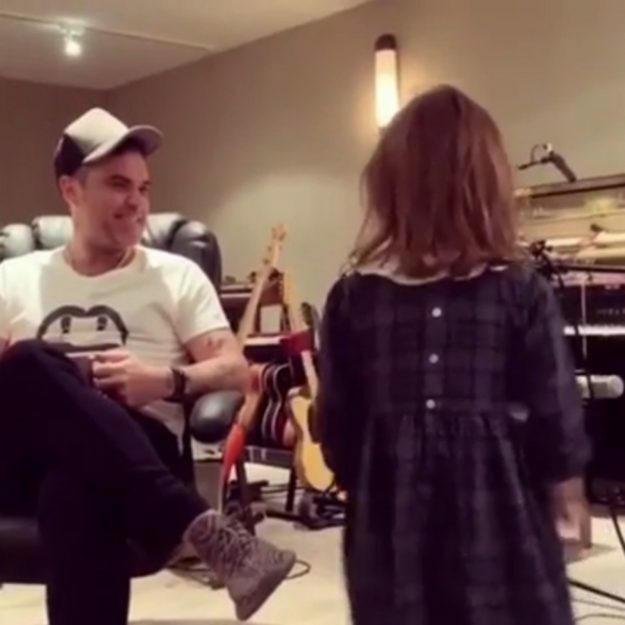 The X Factor judge Robbie Williams shared a cute video of his six year old daughter Teddy singing to his Instagram account. In the video, 44 year old Robbie looks visibly impressed with the vocal abilities of his oldest child, as he sits next to her in a recording studio. The Take That singer laughs as his little girl sings about his sleeping and flatulent habits at Christmas time as she makes up her own song. Along with Teddy, Robbie and wife Ayda Field are parents to son Charlton and baby girl, Coco. 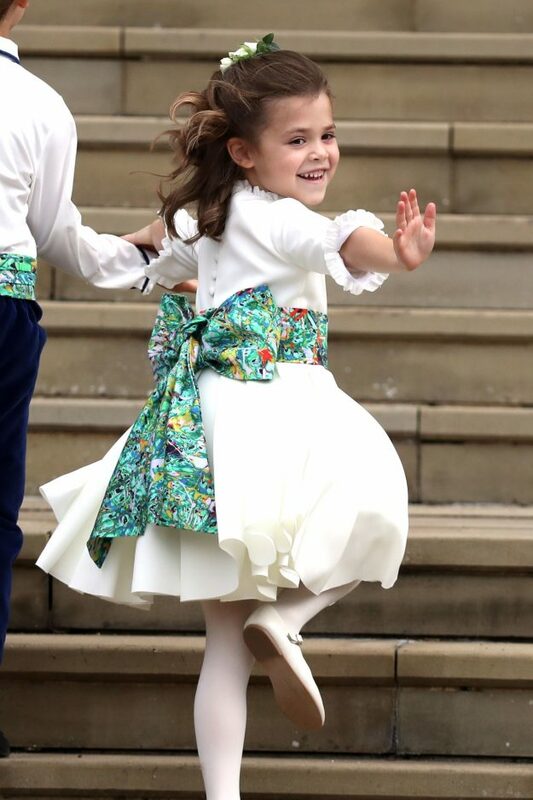 Teddy’s vocal abilities are not the first time that she has been fawned over, as the gorgeous little girl played a vital role in Princess Eugenie’s royal wedding last October as a bridesmaid. However, mum Ayda, 39, shared that she had worries ahead of the big day. It appears there were a number of things she panicked about going wrong on the day, as she said: “She could have ripped off her clothes, done something inappropriate – but she was like a dream. “When she walked up the aisle, she saw me and did a cheeky smile and I got so emotional.